2018 was an outstanding year for everyone involved with TANZ eCampus – our learners, our tertiary partners and our TANZ eCampus team which includes employees and contractors. 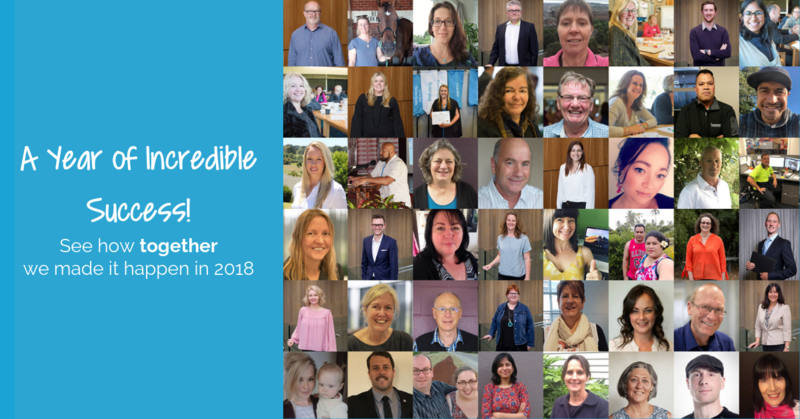 When we started out in 2013, we had great expectations for delivering an exceptional online learning opportunity for those learners that didn’t want to, or couldn’t, attend an institute in person. 2018 has seen significant steps towards achieving this vision. We have supported and facilitated almost 6000 learner enrolments. Through learner testimonials and feedback, we are hearing that these learners have greatly benefited from our flexible approach to learning and our commitment to innovation. They had the opportunity of studying 71 different courses that were on offer and completing 21 NZQA qualifications. A huge improvement on our early offering of 40 courses. Our learners completed 2889 courses from Retail, Computing and IT through to Design and Technology. In addition to the number of students completing courses, one of the bits of feedback that gives me the most satisfaction is what our students have to say about their learning experience. 93 % of TANZ eCampus learners have said they are happy to recommend TANZ eCampus to friends and colleagues. Learners also appreciate the fact that TANZ eCampus focuses on providing real life opportunities and exercises as a core component of study. The integration of real world tools into the study helps achieve real world experience and this is quite possibly the most important feedback we receive. Our learners represented all demographics with 28% under the age of 25 years and 3% over the age of 55. We had 73% female learners and 27% male, and we had learners from African, Middle Eastern, Asian, Māori, Pacific and European/Pākehā ethnicity. For our partners and Board there are key drivers to review. Not least of which are the financial results that TANZ eCampus delivers. Last year we generated a positive return financially, which provides continued investment into our business. During 2018 the number of tertiary institute partners grew from six to seven as we welcomed Toi Ohomai Institute of Technology to the platform. The announcement of the Reform of Vocational Education (RoVE) in February this year will bring little change to our 2019 operations – we are all very focused upon supporting our learners . We will continue to deliver excellent levels of support to our growing number of learners. We did provide a submission to the Ministry on RoVE and you can view it online. We look forward to the outcome of this reform process and the greater level of certainty this will bring to the sector. Pamela Simpson is Chief Executive of TANZ eCampus.